Pattaya is one of the most famous touristic spots in Thailand and is worldwide known for its beaches and nightlife. Pattaya have plenty of accommodation to offer, but is quite normal to end up in a expensive and low quality hotel or too noisy. Unless you’re not planing to sleep during your stay, you should be careful when you choose a hotel. 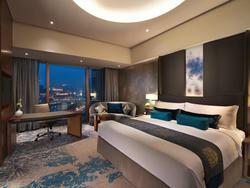 Here you’ll find a selection of some of the best hotels in the city for all kinds of budgets. 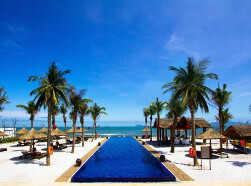 If your looking for general tips on booking hotels in Thailand click here to read our guide. 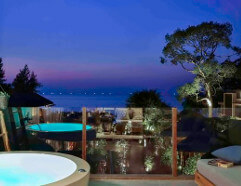 With enormous sea views, U Pattaya Hotel is one of the top hotels located on the beach with 44 guestrooms. The rooms come in the categories of Garden Villa, Pool Villa, Pool Access Villa and Beachfront Pool Villa, beautifully decked up in earthy tones using bamboo and rustic wood for a calm ambiance. 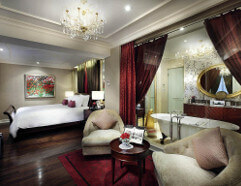 All the rooms offer free Wi-Fi access and modern amenities. The rooms are spacious and for those who want complete privacy and serenity, Ocean Front Pool Villa is the one to go for. The hotel’s private beach is equipped with sun beds and loungers for a relaxed soaking up of Sun. The hotel offers U Choose Program that allows the guests to choose amenities like music, tea, soap, and pillows before arriving. It houses a beachfront restaurant, terrace bar, and offers services like spa, bicycle rental, free car parking, 24 hour security and front desk. It’s English speaking and highly courteous staff keeps the guests happy with their exceptional customer service. It is 14.67 km away from the Utapao International Airport and attractions like Cartoon Network Amazone and Nong Nooch Tropical Botanical Garden are within 40 minute walk away. 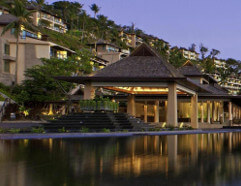 Phuket is the biggest and one of the most famous islands in Thailand and a top touristic destination. 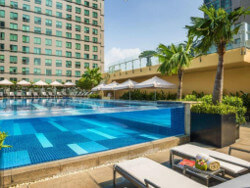 Here you’ll find the review of some of the best hotels in Phuket City, Patong and close to the Phuket Airport, the hotels chosen in this article are suitable for any kind of budget, form the best luxury hotels to the best cheap hotels or hostels. 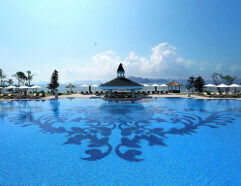 The Westin Siray Bay Resort & Spa Phuket is located close to the Phuket City and houses 257 contemporary rooms, equipped with modern amenities and well-fitted ensuite bathrooms. The hotel features beautiful outdoor pools with infinity edges overlooking the gorgeous sea. The hotel is perfect for families, couples, and even business travellers as it not only offers child friendly services, family rooms, kid’s pool for guests with kids but also a business center and 5 meeting rooms. 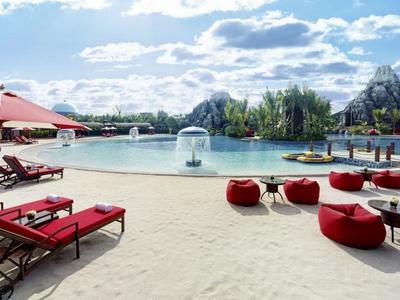 It also features a poolside bar and restaurants serving international cuisines. The fully-serviced spa, motorized and non motorized water sports, a fitness center are the ways to relax at the resort. Some of the lows are that the Wi-Fi is provided only in the public areas while it is chargeable in rooms and their shuttle service is also chargeable. It is a good hotel when looking for a relaxing and secluded accommodation away from Phuket’s liveliness as it takes about 40 minutes to reach the Phuket City Center from the hotel by car. The hotel’s staff is courteous and speaks English, Filipino, Korean, and Japanese in addition to Thai. Koh Samet is the closest island to Bangkok and a popular weekend destination for the residents of the Thai Capital. Here you’ll find a selection of some of the best hotels in the island for all kinds of budgets. 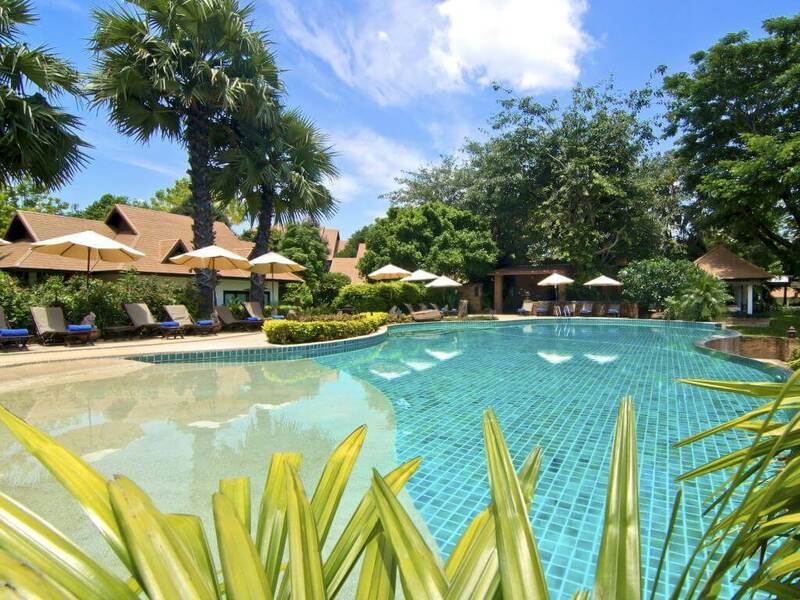 Offering beach front pool and garden view villas, The Paradee Resort is one of the top beach resorts in Koh Samet with 40 guestrooms. The resort is on the beach offering easy access to Sun, sand, and sea. It is also closely located to many other beaches with distance ranging between 0.9 km and 4km. 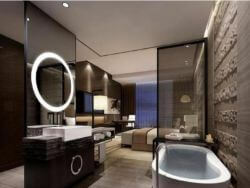 The resort features a full serviced spa, fitness center, outdoor pool, and business center. The resort’s private beach is spotlessly clean and is equipped with beach umbrellas. The hotel‘s English speaking staff welcomes its guests with welcome drinks and are very courteous to make the stay truly relaxing by attending to every little need of their guests. 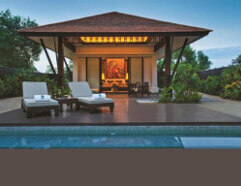 The villas are equipped with modern amenities and feature comfy beds with gorgeous views. The hotel provides free Wi-Fi only in public area and not in rooms. In addition, guests can enjoy motorized water sports at the beach to add to their entertainment. Chiang Mai is the largest city in Northern Thailand and one of the top touristic destinations in the country, for this reason the city have a large offer of accommodation. Finding a good hotel in Chiang Mai may not be easy and here you will find some of the best hotels in Chiang Mai whatever your budget may be. A cozy hotel with 30 guestrooms, the 137 Pillars House is a beautiful stay option located in the Muang area of Chiang Mai. 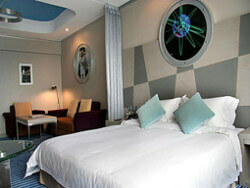 The hotel offers clean and spacious rooms, neatly decorated offering modern feel. 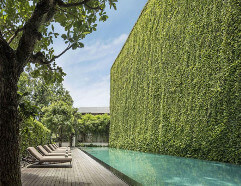 The surroundings are lush green with manicured gardens, which will surely elevate the guest’s overall experience. 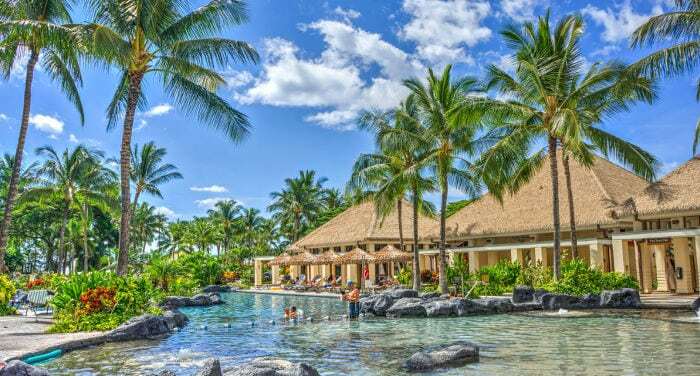 It offers free Wi-Fi and free parking with other amenities like 2 restaurants, an outdoor pool, steam and spa, childcare services, daily housekeeping, and a gift shop. It also offers portable Wi-Fi rental. The food at the hotel is exceptional, prepared from fresh organic produce. 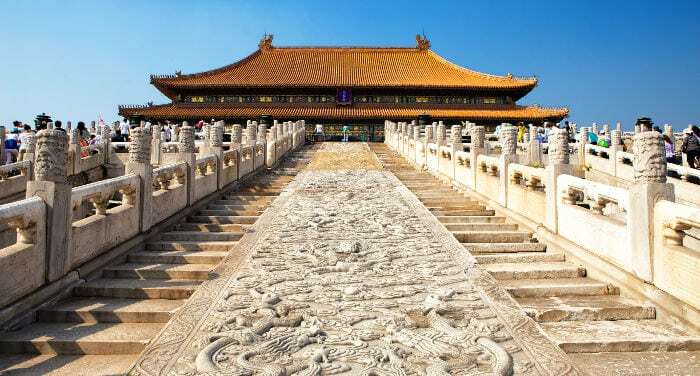 The staff here speaks English and Chinese to communicate easily with western travelers and travelers from other Asian countries. Its central location makes reaching popular attractions like Chiang Mai City Arts and Cultural Center, Wat Chiang Mai National Museum, Wat Gatekaram and The Suvannabumi Art Gallery easily accessible on foot. All these attractions are only 2 to 20 minute walk away. Chiang Rai is the last city in the north of Thailand and one of the top touristic destinations in the famous Golden Triangle. 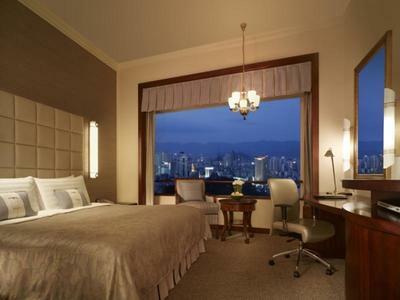 The city offers a large number of accommodation and finding a good hotel can be difficult. In this article you’ll find the review of some of the best hotels in Chiang Rai whatever your budget may be. With 78 guestrooms, equipped with free Wifi and great location, the The Legend Chiang Rai Hotel is a lovely accommodation option for travellers. 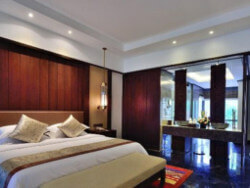 It features spacious and airy rooms, beautifully decorated with modern amenities. The pool villas offer lovely pool views. This hotel is a great option if guests want to bring along their fuzzy pals as the hotel warmly welcomes pets. For children, the hotel offers childcare services and facilities to make the families feel at home and as comfy as possible. The hotel is only 5.71 km away from the Chiang Rai Airport and only 1.61 km away from the Chiang Rai Bus Terminal1. Tourists Points of Interest like Statue of King Mengrai and King Meng Rai the Great Monument are within 9 minutes walk. The wats like Wat Pra Singh and Wat Phra Kaew can be reached within 14 minutes on foot. The staff is courteous and speaks fluent English for easy conversation with non-Thai guests.